Olympic National Park is grappling with recreation choices as the restored river gives lessons in co-existing with nature. Here’s how to find your way in coming months. ELWHA VALLEY, Olympic National Park — The Elwha is truly a river gone wild, devouring the main road into the Elwha Valley at Olympic National Park, and demolishing two campgrounds. And that was just in its first winter flood since dam removal. There’s surely more to come, creating a quandary for park officials challenged with providing public access into the river valley the public just paid $350 million to restore. 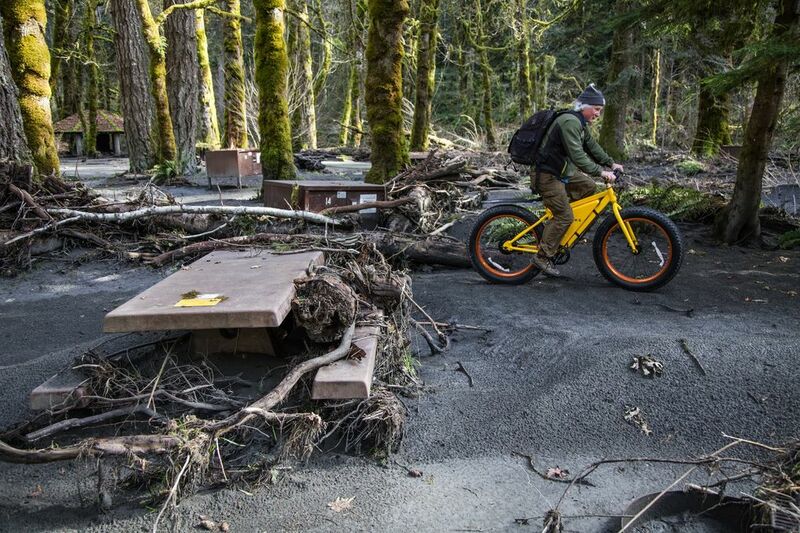 At least for now, the only access into the park just past the Elwha Campground is by bicycle, horseback or foot. The river, newly freed from two dams, took out Olympic Hot Springs Road during a flood last November. It also ate up both the Elwha and Altair campgrounds while it was at it. Both are now closed indefinitely. It’s an ironic outcome for the world’s biggest publicly financed dam-removal project. Dam removal, completed in August 2014, welcomed animals, fish and native plants back to the river and former reservoir lake beds for the first time in a century. The river is roaring back to life. 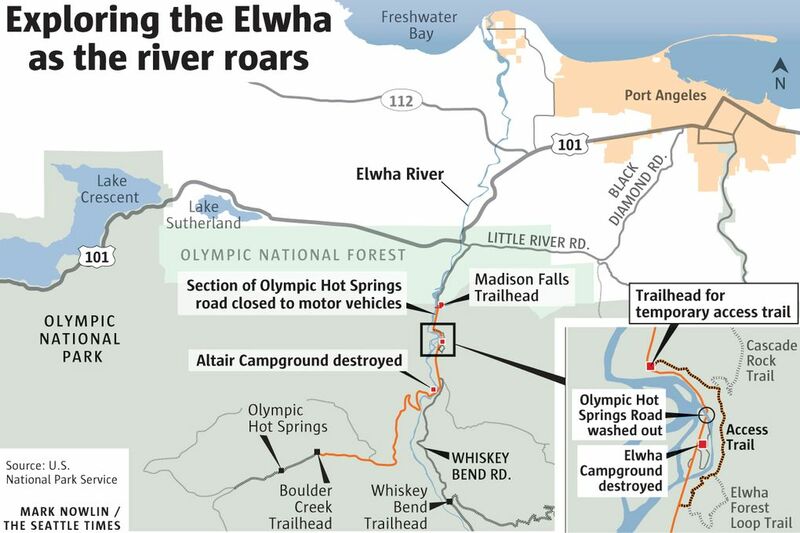 But for people, access to the Elwha watershed, 83 percent of which is in Olympic National Park, just got harder. 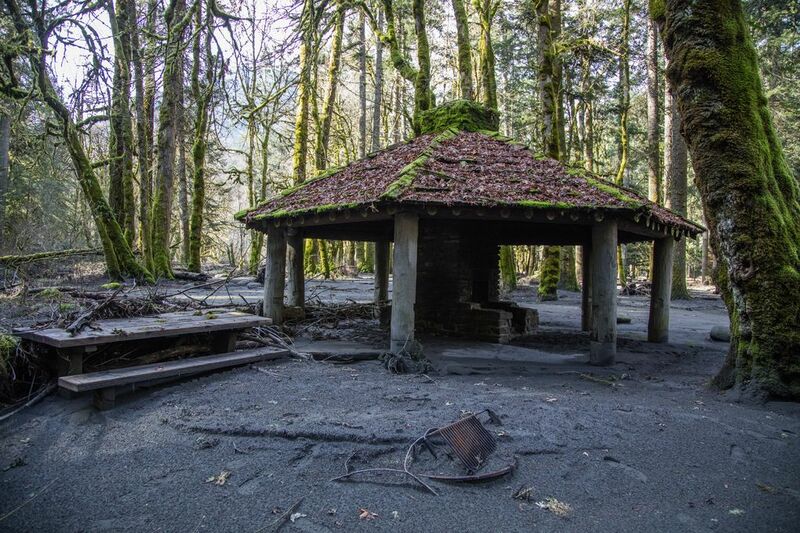 Elwha and Altair were the only campgrounds in the valley with road access, perfect for the disabled, busy families and people who just prefer RV recreation and car camping. It’s also a much longer haul now to popular trailheads. The park service on Feb. 20 opened a new interim trail that winds through the woods to take hikers past the washout and into the Elwha Valley. But making the journey on foot adds about seven miles to popular hikes from the Whiskey Bend trailhead, and 8 miles to the Boulder Creek trailhead. The smart move at least for now is to bicycle to the trailheads, using a wooden bridge just beyond the gate that blocks car traffic from the washout. The park service hopes to build at least a temporary bridge over the washout for car traffic sometime this summer, said Barb Maynes, spokeswoman for the park. There will be no motorized access to the Olympic Hot Springs Road above the washout until it opens for car travel. “We are hoping for the road to be open this summer, in time for most of the visiting season,” Maynes said. The campgrounds are another matter. The Elwha Campground today is awash in silt and piles of cobble, and stacked with entire trees brought by the river encroaching back into its flood plain. Picnic tables are piled with logs. Pit toilets are tipped over, or filled with sand up to the toilet seat. Clumps of sword fern are flattened, trees downed, and woody debris and a crushed cedar scent are everywhere. Altair Campground, up the road, has mostly calved into the river, the asphalt road through the campground cleaving off into the surging water alive with standing waves. Chunks of paving are piled in a heap where once there were picnic tables. Where campers used to sleep, the river sings past. What a sight it is. 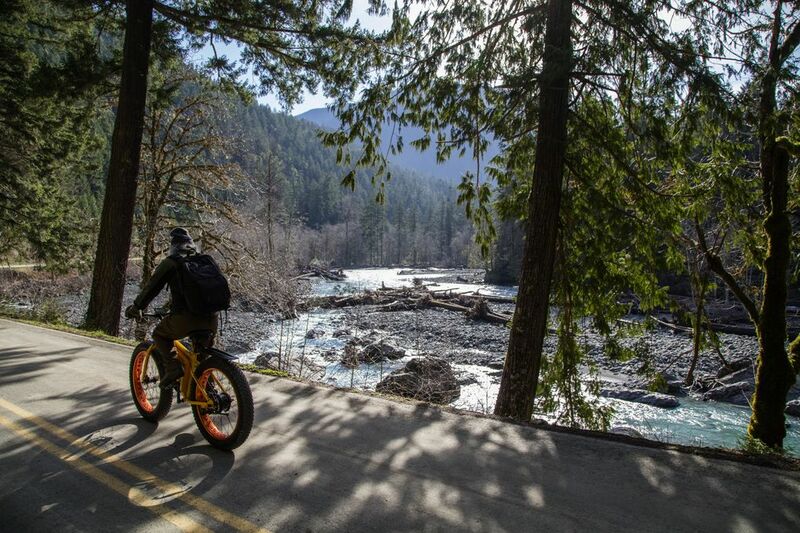 The Elwha’s signature color is back, a slate green, shining teal in the sun, the colors stoked by glacial flour. Just 45 miles long, the Elwha undammed pitches itself down from the Olympics, a mighty mountain river freed to eat as much rock and wood as it wants. Andy Ritchie, project hydrologist with the National Park Service at Olympic National Park, explained that dam removal has allowed the river not only to run free, but to gather wood, sediment and rock from its watershed — tools with which it is reworking its channel. 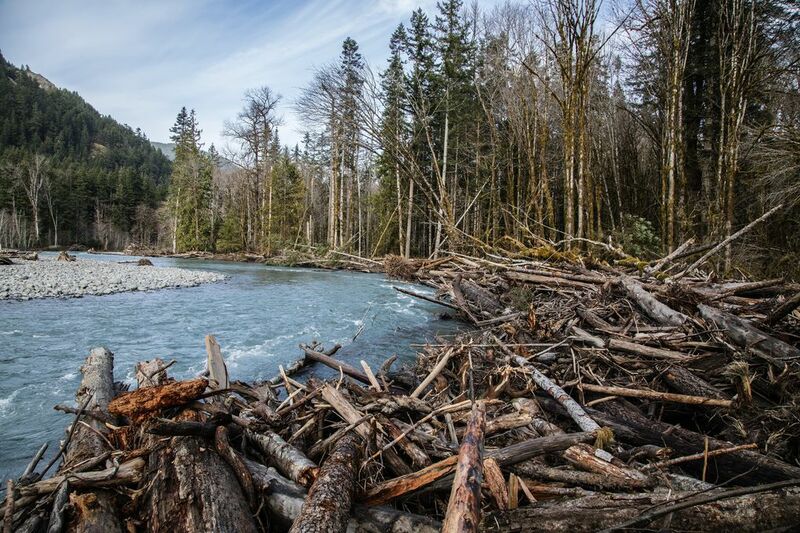 The Elwha is muscling back and forth, battering its banks with entire trees it chews down, and building massive jams of logs. “It’s alive,” Ritchie said. The log jams split and slow the river’s flow, allowing the river’s load of sand and gravel to drop out, raising its bed. That pushes the water level up higher, giving the river access to more territory to grab more trees, build more jams, and create an ever-more complex, braided, sinuous river channel. Doing, in other words, just what wild rivers have always done. Karen Daubert, executive director of Washington Trails Association, said the Elwha is a spectacular place to hike, even with the access challenges. 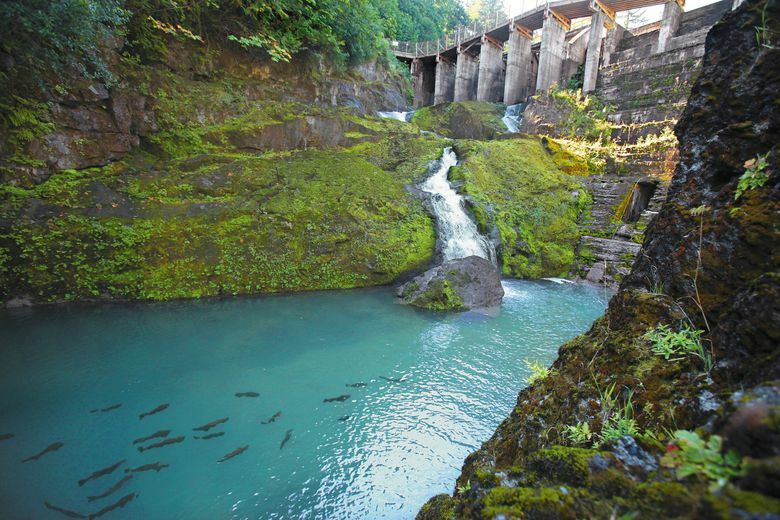 Instead of the crowded Interstate 90 corridor with its trails packed every weekend, the Elwha offers a unique experience to watch a river remake itself, Daubert said. Beyond getting a temporary bridge in this summer, there’s much to sort out for long-term access into the valley, Maynes said, from what to do about the road, to where to put campgrounds out of the river’s reach. For now, and probably for quite a while, the only camping available in the Elwha is in the backcountry. Ritchie said he fully expects the river back on the road, and in both campgrounds, roaming its flood plain at will. Here in the park, after all, a river running free was the idea. So the trick now is to make a new accommodation between a river reborn, and its people. • Open: Olympic Hot Springs. For those savoring a backwoods soak, the hot springs, accessed from Olympic Hot Springs Road, have been reopened. The National Park Service does not sanction the use of these springs; use at your own risk. • Open: Interim foot path around washout on Olympic Hot Springs Road. • Open: Olympic Hot Springs Road, for foot, bicycle or horseback travel only, via a temporary wooden bridge. 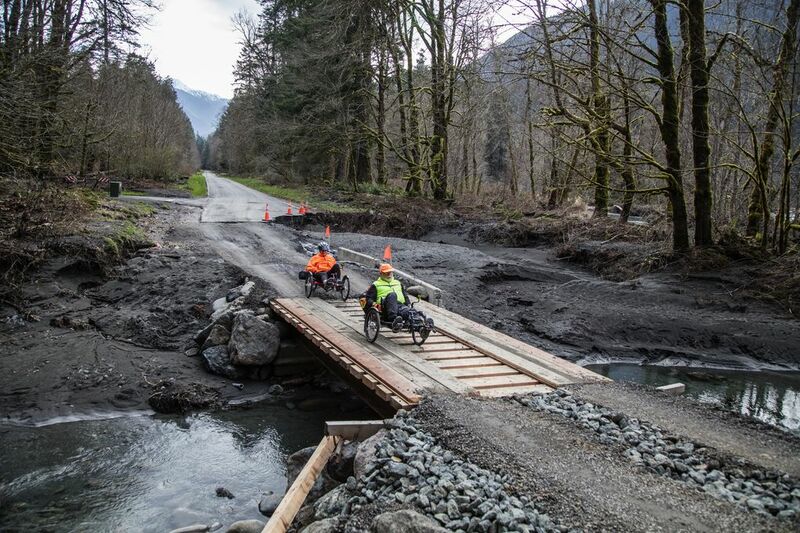 • Closed: Auto access on Olympic Hot Springs Road beyond Elwha Campground. • Closed: Elwha and Altair campgrounds.